Welcome to Always on Electric! Welcome to Always On Electric, the company that provides a high quality service at a competitive price. We are a fully licensed company that carries a 2 million dollar Liability Insurance Policy. We also carry full WCB coverage which ensures our customers are protected from any liability issues. Always On Electric provides solutions to all your electrical needs. Whether you are a homeowner with a circuit breaker that continually trips for no apparent reason, a general contractor of a large project who is looking for a qualified electrical contractor, or a store owner/production plant that requires 24 hour service we can help! 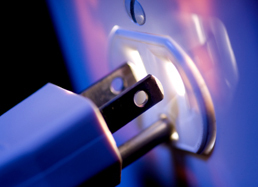 Call or email us today to discuss all your electrical needs. We offer a complete range of services including wiring, panel upgrades, surveys, fault finding, maintenance, testing and inspection. Covering all aspects of your home we will be the only call you need to make.